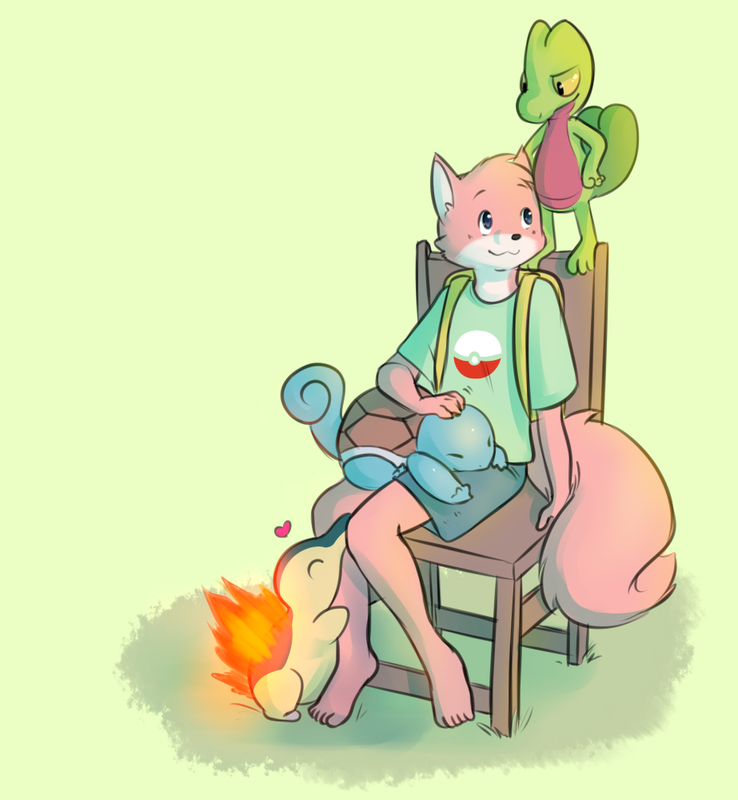 With a little hint of nostalgia with older starters! I love everything about this. The snuggly looking squirtle, the little heart coming from cyndaquil, the expression on treecko's face -- it all adds up to diabeetus-inducing levels of cute.